When it comes to managing chronic pain, there is no question that you have a number of options to consider. The important thing to remember is that you are not alone. You have prescription possibilities that you can explore. You also have OTC medications. You can even try things like exercise or rehab. What matters is that you become aware of your options. Your doctor should be able to come up with a plan of action that will serve to put you on the road to recovery. At the same time, it doesn’t hurt by any means to consider some of your alternative options for managing chronic pain. 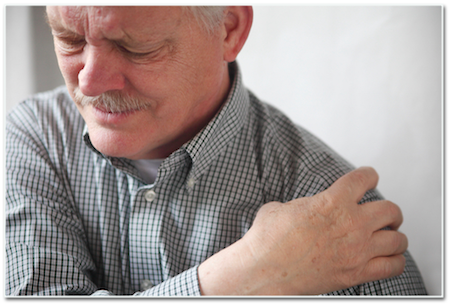 Prescription medication and OTC medication can be used to treat a variety of chronic pain conditions. Anything from general aches and pains, to chronic pain that occurs in the aftermath of an accident, it’s important to discuss your options with your doctor. Deep breathing/meditation: Both deep breathing techniques and meditation are designed to bring the body to a comprehensive state of relaxation. This in turn can help you with pain management. The concept of repetition has been proven to be quite soothing. Stress reduction: Believe it or not, but things like stress, anxiety, and depression can all contribute to sensitivity to pain. Look for stress reduction techniques that will help you over the short-term and long-term, including music, guided imagery, or even progressive muscle relaxation. Exercise: Of course, this idea is going to depend on the type of pain you are dealing with. In the end, your doctor or someone similar can help you to develop exercises that can help to relieve some of the pain you are experiencing. The idea behind exercise for chronic pain is that it is a fantastic way to release endorphins that can assist in pain management. Cutting out alcohol: The truth of the matter is that alcohol can actually worsen the symptoms of chronic pain, particularly when it comes to getting essential rest. You may want to consider cutting back alcohol, or cutting it out entirely. Support groups: There is something to be said for emotional support, when it comes to finding additional, viable measures for managing your pain and discomfort. Joining a support group can prove to be extremely useful. When you feel less alone, you can indeed feel much stronger, and more capable of dealing with your symptoms.